From the A.I. 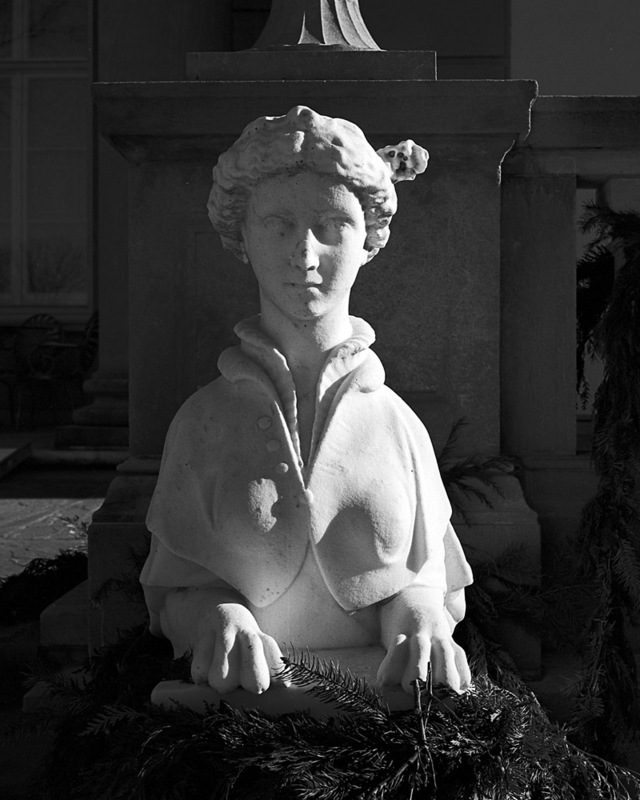 Dupont estate, Nemours, outside Wilmington, Delaware. A.I. Dupont, director of the Dupont chemical company, built the house as a gift to his second wife in an attempt to grow her affections for him. The 40,000 square foot house was built in 18 months. The interior features an elevator that runs from the basement to the third floor, a billiard room, bowling alley, an ice factory (the house was built before electric refrigeration, so they needed to be able to produce their own ice to keep the ice boxes cold), and a central vacuum system. The laundry was put in a separate building perhaps 30 yards from the main house so they could say they sent their laundry out. This is a view down the lawn from the mansion front, looking to the colonnade (which crowns a massive fountain on the other side). 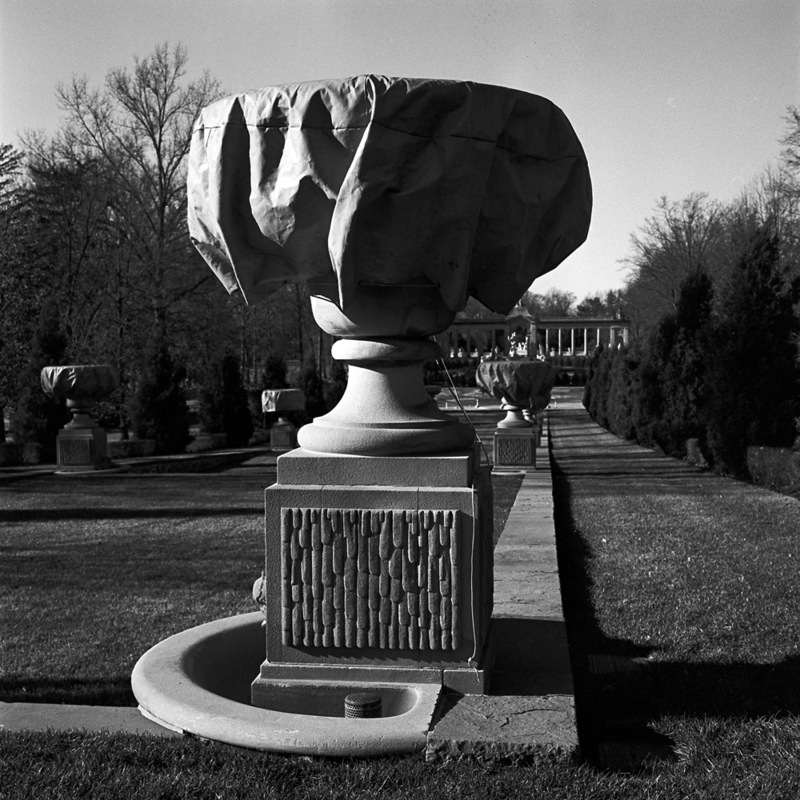 The garden urns have been prepared for winter with their canvas covers and their fountains drained. Even today, the estate totals some 300 acres, down from the original 3000. I was at Nemours between Christmas and New Years to see it for the last open weekend of the year (it closes at New Years and re-opens in May). The house interior is decorated as the Duponts would have decorated for the holidays. No photos of the interior are allowed, so I do not have any pictures from inside the house. Photography on the grounds is acceptable, however, so I took these pictures of some of the details outside. In the spring, when garden tours are offered, I’ll have to go back and shoot the gardens in greater detail. Here is a sphinx, one of a matched pair, guarding the front porch of the house. I loved the way her white marble glowed in the late afternoon winter sun.